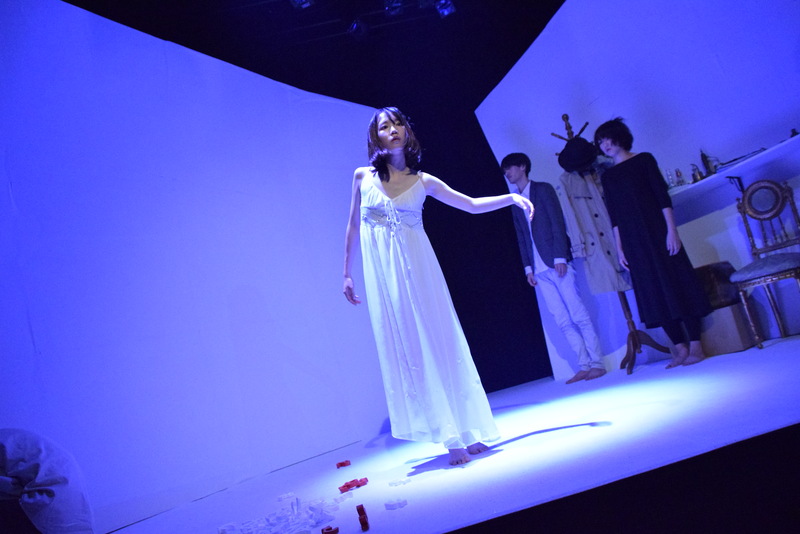 A playwright and director, Yohei Kurogi has produced independent films and plays since entering university. He has lead the theater group Amanstadt (A Ningen Toshi) since 2015. 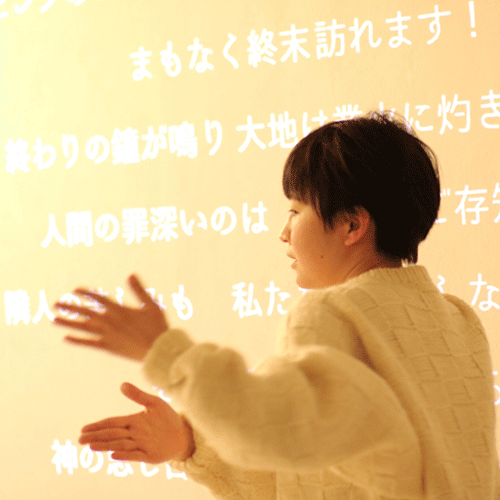 Seeing drama as a “dialog between the body and words”, he is looking for a new type of drama in the age of postdramatic theater. 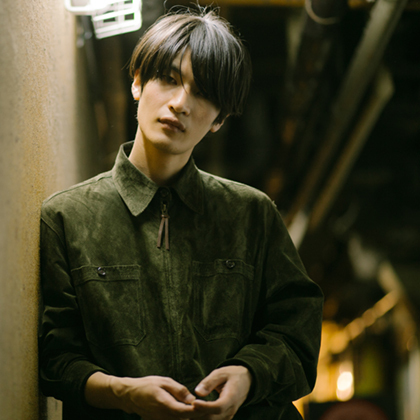 His dramatic works include “Kami (de wa nai) no Ko (de wa nai)” (“(Not) Child of (Not) God”), which was entered into the Tokyo Student Theater Festival 2016. 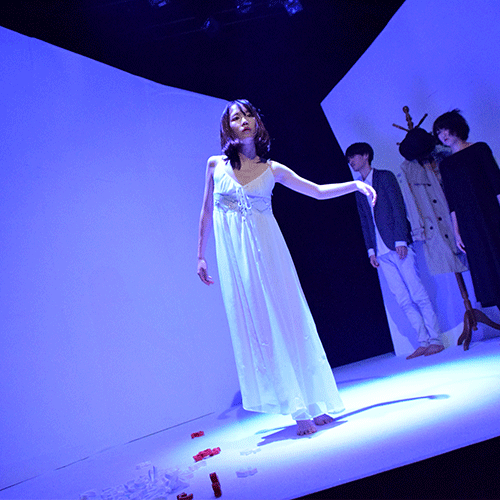 Performed at the Waseda University’s Dramakan Theater on Saturday the 15th through Monday the 17th, October 2016. This work uses the approach of intentional mistranslation to find the essence of the concepts in the original The Seagull by Anton Chekhov, perhaps the father of modern drama. The play presents the relationships of people as they seek each other but fail to meet or interact without understanding each other. 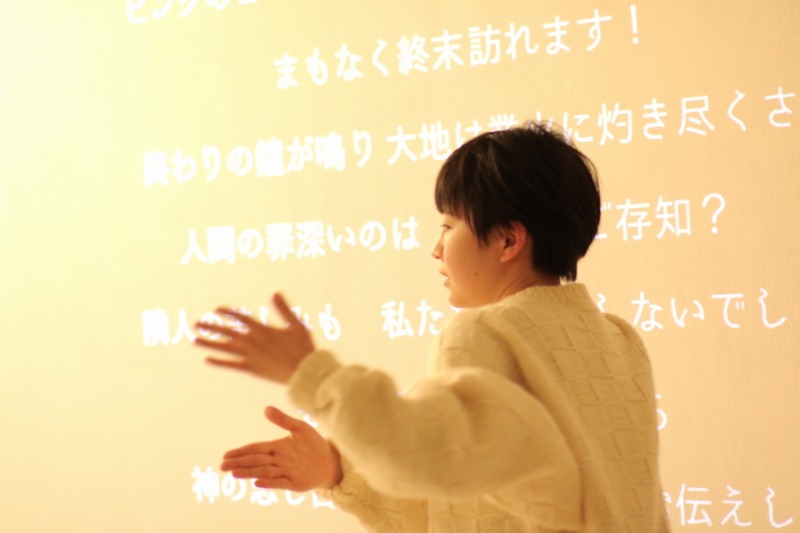 Performed at the Shinjuku Ophthalmologist (Ganka) Gallery Space O on Saturday the 25th through Tuesday the 28th, March 2017. This one man show based on the idea that “understanding without understanding means hearing a voice”, uses the actor’s body to express both the oppressiveness and attraction of that voice.